5K Jog N Jam Reminder! Our 9th Annual Jog N Jam T-shirt Registration deadline is upon us. Final day for Registration to get your free t-shirt is Tomorrow, April 18th! All paper registrations must be received in the school office by the end of the school day or if registering online it must be completed by midnight. Any registrations received after this time will still be eligible for race day festivities they will just not include the shirt. Even if you can’t attend the race this is a great fundraiser for the school and the shirts can be worn as part of the gym uniform for students or as Spirit wear for families. So please help us make this fundraiser a success by registering today! 150 years and still running! The 9th Annual Jog N Jam is scheduled for Saturday 5/11/2019. Registration packets came home with the youngest family member. There are various prizes and incentives that will be offered to students this year. It is very important to look over the registration packet. If you need additional paper copies you can call the office at school or visit http:// stjoesjognjam.weebly.com/ to print more. You can also go to www.registrationspot.com. To guarantee a shirt you need to be registered by April 17, 2019. 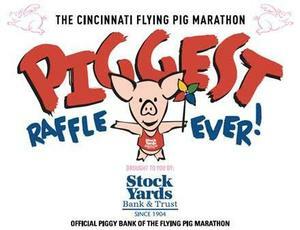 SJCS is again participating in the Cincinnati Flying Pig Marathon Piggest Raffle! 1st prize- $5000 to winner and $5,000 to the charity for which it was purchased. Here is the listing of our Honor, Merit and Perfect Attendance students for the 2nd Trimester. Honor Roll and Merit Roll is for students in grades 6, 7 & 8. So proud of our Third Grade Class. Please enjoy their enthusiastic reciting of the Pledge of Allegiance! St. Joseph Consolidated School is proud to announce that Mrs. Ellen Baden has been recognized as an 2018 Educator of Excellence by the Hamilton Celebrates Education Awards sponsored by the Harry T Wilks Hamilton Community Foundation. Congratulations for a well deserved award to an awesome SJCS teacher! We have been partnering with Kroger to raise money for St. Joseph Consolidated School. The Kroger Community Rewards Program . All supporters of our organization who registered prior to are automatically re-enrolled online to continue supporting our organization.. If you have not enrolled or have family members who need to enroll please keep in mind enrolling only takes a few moments and is completed in a few simple steps. Sign in using your email address and password or created a new account. If you have forgotten your password, just click on "forgot password" and a link will be sent to your email to change your password. Enter our organization's five digit NPO number XS832 or the first three letters of the organization's name, click search. Select our organization by clicking on the circle to the left St. Joseph Consolidated School. Thanks again for your continued support of St. Joseph Consolidated School! 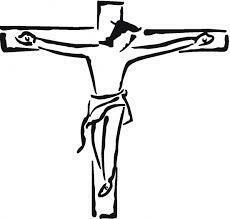 Help St. Joe by saving these items!